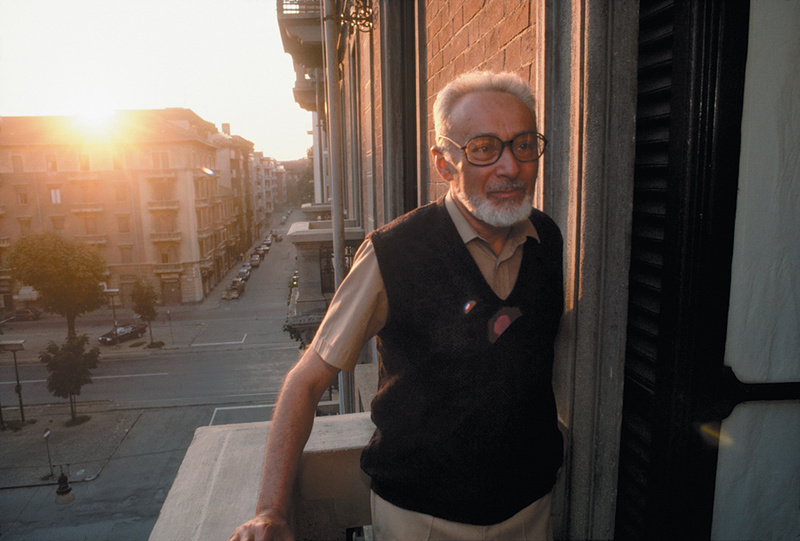 How Did Primo Levi Die? 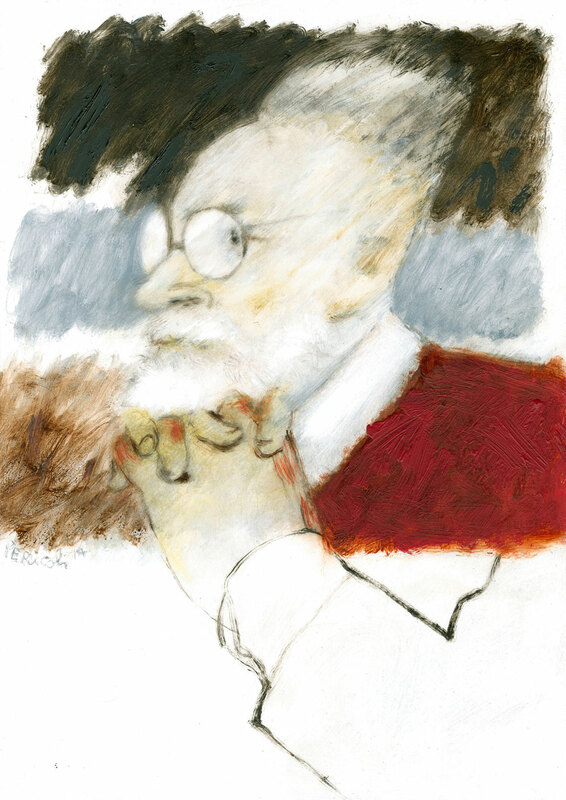 Tim Parks’s engaging review of The Complete Works of Primo Levi [NYR, November 5] is satisfying on a number of levels, but I was disheartened to see the piece bookended by the “suicide.” Parks’s phrase that Levi “threw himself down the stairwell to his death” is not, in any case, an accurate way to describe a tumble over a railing. But the larger issue is that thoughtful and important people close to Levi, who first thought it was a suicide, have reconsidered the event. These people include his cardiologist and friend David Mendel, his lifelong friend Nobel laureate Rita Levi Montalcini, and Fernando Camon. Levi was in a whirl of activities—he’d scheduled an interview for the following Monday, he was considering the presidency of the publishing house Einaudi, he’d just submitted a novel, and that very morning he mailed a plan-filled letter. Add to that the tight dimensions of the stairwell, a railing lower than his waist, recovery from surgery (lowered blood pressure), the number of people who survived Auschwitz and did not kill themselves, and a number of other factors, and the suicide doesn’t make sense. It has been a useful symbol for critics and other writers to hold on to as they imagine the why and how, but it is grossly unfair to the man and to his work. If this crutch is removed, his material can be examined in fresh light—an examination that he deserves. I hope the editors of The New York Review will help discourage the story, which, in the cycling of Internet sites, already holds a terrifically strong grip. I would strongly urge you to see this 1999 essay, “Primo Levi’s Last Moments” by Diego Gambetta. I quote not from a rogue website but from the author chronology provided in The Complete Works of Primo Levi, the book under review. These words, in turn, are a translation of the chronology prepared by Il Centro Internazionale di Studi Primo Levi in Turin, the most authoritative source of information on Levi; they were actually written by Ernesto Ferrero, for many years Levi’s editor at Einaudi, a close friend who knew the author well and spoke to him regularly right through to the end. The three biographers—Ian Thomson, Carole Angiers, and Myriam Annissimov—who worked intensely on Levi’s life, interviewing most of those who knew him, all speak of his suicide as fact. The police on the scene concluded that the death could only have been suicide, this for the simple reason that one does not take a “tumble over a railing” in a Turin apartment block. The Turin law court that heard the evidence surrounding the death agreed and gave its verdict accordingly. In any event it is unthinkable that Levi, a cautious man, would have brought up children and maintained his infirm mother in a building where one could simply tumble over bannisters. Diego Gambetta’s Boston Review article, to which Carolyn Lieberg refers me, is an extended exercise in wishful thinking, sometimes disingenuous (as when it claims, for example, that the biographies do not back up their claim that the death was suicide, or omits to mention the family’s immediate acceptance of the suicide verdict, or suggests that the height of the railing was abnormally low), sometimes plain wrong, as when it claims that Levi never wrote in favor of suicide. In the story “Heading West” (published in 1971, but interestingly republished shortly before the suicide in 1987), he sympathetically describes a remote tribe who refuse a drug that will put an end to an epidemic of suicides. The chief of the tribe writes, and they are the final words of the story, that the tribe’s members “prefer freedom to drugs, and death to illusion.” Freedom is always a positive word for Levi. Whatever his reasons for doing what he did, and clearly in the last months of his life he oscillated between deep depression and rare moments of enthusiasm for new projects, Levi was a free man, exercising “a right we all have.” “He’s done what he’d always said he’d do” were reportedly his wife’s words on returning home to discover what had happened. The fate of Levi’s books, in Italian and in translation, is instructive. When he took Se questo è un uomo to Einaudi in 1946 it was rejected out of hand by the publisher’s (anonymous) reader, Natalia Ginzburg, herself from a prominent Turinese Jewish family. Many years later Giulio Einaudi claimed to have no knowledge of the reasons for the book’s rejection; Levi himself laconically ascribed it to “an inattentive reader.”5 At that time, and for some years to come, it was Bergen-Belsen and Dachau, not Auschwitz, that stood for the horror of Nazism; the emphasis on political deportees rather than racial ones conformed better to reassuring postwar accounts of wartime national resistance. Levi’s book was published in just 2,500 copies by a small press, owned by a former local resistance leader (ironically, in a series dedicated to the Jewish resistance hero and martyr Leone Ginzburg, Natalia Ginzburg’s husband). Many copies of the book were remaindered in a warehouse in Florence and destroyed in the great flood there twenty years later. German translations followed in time, and Levi eventually gained an audience in the Federal Republic. French publishers, however, avoided Levi for many years. When Les Temps Modernes published extracts from Se questo è un uomo, in May 1961, it was under the title “J’étais un homme” (“I was a man”), which comes close to inverting the sense of the book. Gallimard, the most prestigious of the French publishing houses, for a long time resisted buying anything by Levi; only after his death did his work, and his significance, begin to gain recognition in France. There, as elsewhere, the importance of Levi’s first book only came clearly into focus with the (in some countries posthumous) appearance of his last, The Drowned and the Saved. 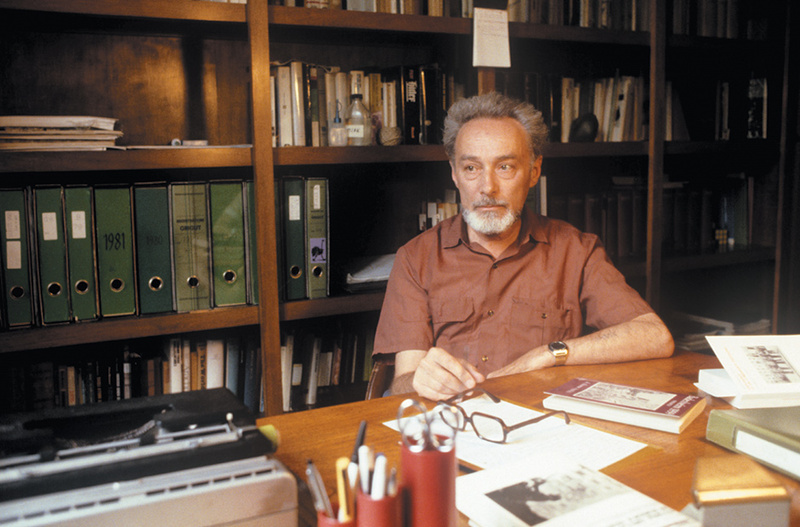 Like his subject, Primo Levi remained at least partially inaudible for many years. In one sense, Primo Levi has little to offer a biographer. He lived an unremarkable professional and private life, save for twenty months, and he used his many books and essays to narrate and depict the life that he did lead. If you want to know what he did, what he thought, and how he felt, you have only to read him. As a result, any retelling of his “life and works” risks ending in a self-defeating effort to reorder and paraphrase Levi’s own writings. And that is just what Myriam Anissimov has done in her new account of Levi, which has already appeared in French and Italian to mixed reviews. Some mistakes of fact in the Italian and French editions have been cleared up, and the English translation, while unexciting, is readable and contains much information. But Anissimov’s prose is uninspired and mechanical. Her lengthy narrative of his life is a choppy mix of long excerpts and rewordings from Levi himself interspersed with clunky and inadequate summaries of “context”: Italian Jewry, Fascist race laws, the postwar Italian boom, 1968 in Turin, and the publishing history of his books. Some of the background material seems to have been inserted at random, as though the author had come upon a misplaced file card and inserted its contents, then and there, into the text. The nobility of Man, acquired in a hundred centuries of trial and error, lay in making himself the conqueror of matter…. I had enrolled in chemistry because I wanted to remain faithful to this nobility. It is the detail in Levi’s writing that is doing the narrative work, and the moral work too. Like Albert Camus, he has a feel for the “thingness” of experience. He was well aware that this could cause discomfort to some modern readers. In The Monkey’s Wrench he is gently ironic as he heaps on the technical description: since there just are no synonyms, the reader “must be brave, use his imagination or consult a dictionary. It may be useful for him anyway, since we live in a world of molecules and ball-bearings.” The emphasis on work in many of his stories was no accident—a number of the writers and novels he most admired deal explicitly with the honor and autonomy that come from skilled labor; “Faussone,” the composite protagonist of The Monkey’s Wrench, is a Conradian character drawn in part on Renaud, the skipper in Roger Vercel’s novel Remorques, which Levi openly acknowledged as one of his influences. Levi himself identified with skilled work, saying “I’ve always been a rigger-chemist.” In “The Bridge” he goes further and explicitly states that being good at your job and taking pleasure from it constitutes if not the highest, then at least “the most accessible form of freedom.”16 The cynical inscription over the gates of Auschwitz held a special resonance for Primo Levi: he truly believed that work makes you free. 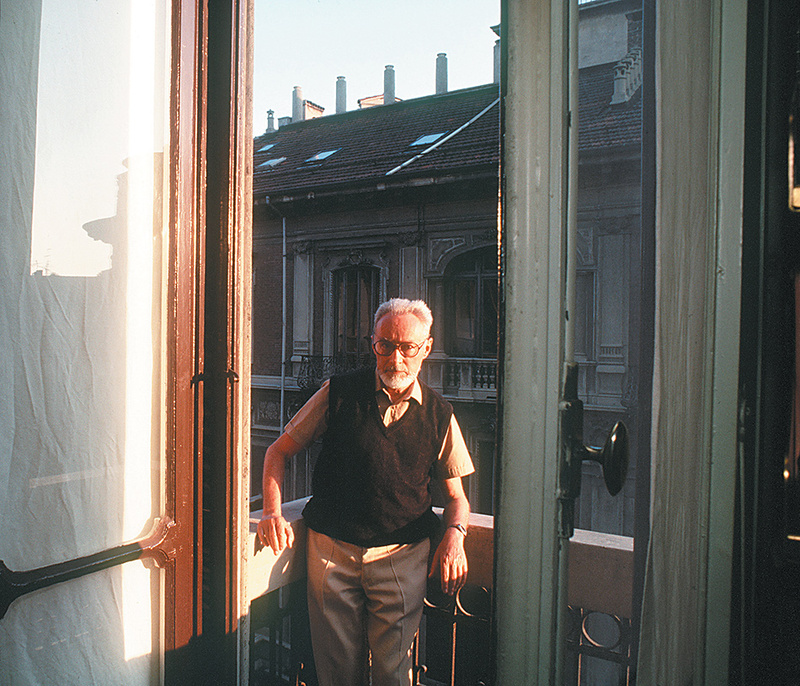 Primo Levi was Piedmontese, a chemist, a writer—and a Jew. Were it not for Hitler, this last would have been a matter of near indifference to him. Jews in Italy had been present since before the destruction of the Second Temple (in 70 AD); and with the exception of the Roman Jews, whose ghetto had only been abolished upon the liberation of Rome in 1870, they were virtually assimilated into the general population. Even the Sephardic Jews of Piedmont, relatively “recent” arrivals, could trace their origins to the fifteenth-century expulsions from Spain (as their names, often drawn from the towns in France where they had lived en route to Italy, suggest), while the earliest recorded permission for Jews to settle in Turin dates from 1424. There had indeed been a ghetto system in Piedmont, established in the early eighteenth century (rather late by European standards), and the Savoyard monarchy was not always benevolent toward the Jews. But following the emancipation decrees of March 1848 their situation rapidly improved, and with the coming of liberal Italy Jews entered without difficulty into the mainstream of Turinese and Italian life. The country had a Jewish prime minister, and Rome a Jewish mayor, before 1914. There were Jewish generals in the army, fifty of them during World War I. Even the Fascist Party had a significant share of the Jewish population among its members (and a Jewish finance minister as late as 1932). I encountered people who didn’t want to know anything, because the Italians, too, had suffered, after all, even those who didn’t go to the camps…. They used to say, “For heaven’s sake, it’s all over,” and so I remained quiet for a long time. As a survivor, then, Levi was tragically typical; as a witness to the Holocaust he was not. Like all such witnesses, of course, he wrote both to record what had happened and to free himself from it (and was driven forward by the sense that he was doomed to fail on both counts). And like all survivors, his testimony is by definition partial: “We, the survivors, are not the true witnesses…. We are…an anomalous minority: we are those who by their prevarications, or their attributes or their good luck did not touch bottom. Those who did so, those who saw the Gorgon, have not returned to tell about it, or they returned mute.”26 In Levi’s case he survived Auschwitz through good health (until the end, when his fortuitous sickness kept him in the infirmary and off the final death march), some knowledge of German, his qualifications as a chemist, which gave him indoor work during the final winter, and simple luck. Others have similar stories. Where some have tried to draw meaning from the Holocaust, and others have denied there is any, Levi is more subtle. On the one hand, he saw no special “meaning” in the camps, no lesson to be learned, no moral to be drawn. He was revolted at the notion, suggested to him by a friend, that he had survived for some transcendental purpose, been “chosen” to testify. The romantic idea that suffering ennobles, that the very extremeness of the camp experience casts light on quotidian existence by stripping away illusion and convention, struck him as an empty obscenity; he was too clearheaded to be seduced by the thought that the Final Solution represented the logical or necessary outcome of modernity, or rationality, or technology. Hurbinek was a nobody, a child of death, a child of Auschwitz. He looked about three years old, no one knew anything of him, he could not speak and he had no name; that curious name, Hurbinek, had been given to him by us, perhaps by one of the women who had interpreted with those syllables one of the inarticulate sounds that the baby let out now and again. He was paralysed from the waist down, with atrophied legs, thin as sticks; but his eyes, lost in his triangular and wasted face, flashed terribly alive, full of demand, assertion, of the will to break loose, to shatter the tomb of his dumbness. The speech he lacked, which no one had bothered to teach him, the need of speech charged his stare with explosive urgency: it was a stare both savage and human, even mature, a judgement, which none of us could support, so heavy was it with force and anguish…. During the night we listened carefully: …from Hurbinek’s corner there occasionally came a sound, a word. It was not, admittedly, always exactly the same word, but it was certainly an articulated word; or better, several slightly different articulated words, experimental variations on a theme, on a root, perhaps on a name.